I moved to Siemens Germany less than a year ago. Being Chinese and living in Germany means I’m still finding ways to communicate with my colleagues. My role as Sustainability Manager means I’m constantly speaking to lots of different people and I have to make sure they understand me — no matter where they’re from or what their mother tongue is. I work with people in different countries and different functions. Engineers, architects, project management, and top management — when these people start working together to figure out a solution they need a universal language. When I was a community manager back in China, I was part of a community that managed enormous infrastructure projects, everything from trains to power and gas turbines. We needed to be much more efficient. I thought about that a lot and finally came up with a way to help people communicate better. Visual communication is a really powerful common language. Whenever we have an international meeting, nearly everyone in the room speaks a foreign language. The Chinese speak in German, Germans speak in English, and Americans and Brits speak different kinds of English! As a result, it can be difficult to tell if a message is received by someone the way it was intended. Not everyone can produce amazing works of art, but everyone can draw. Visual storytelling is about you and your ideas. Sketching isn’t for designers — it’s not even for artists. It’s for everyone. 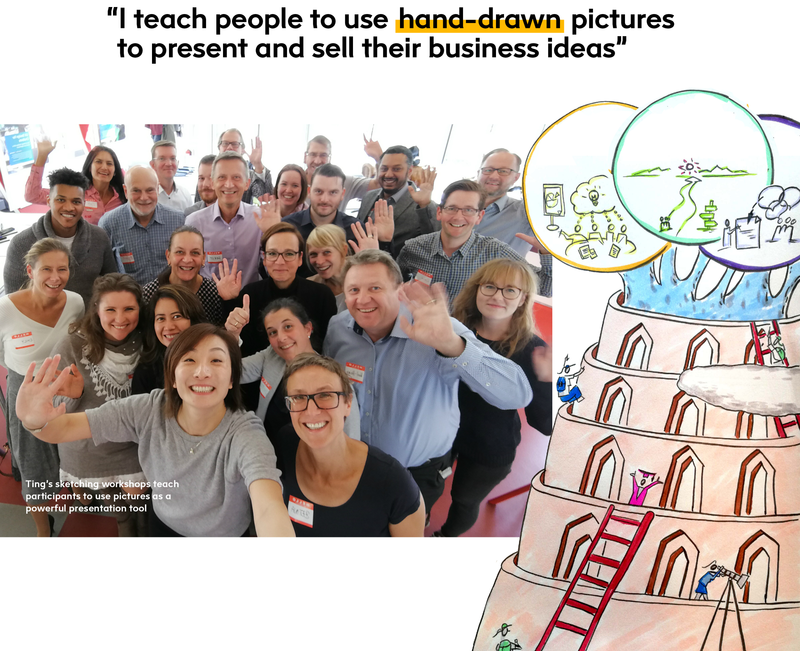 I teach people to use hand-drawn pictures to present and sell their business ideas. Since I started my training sessions and open classes in June, more than 100 people have joined them. It’s not about making beautiful pictures. It’s about you, and your ideas. Our brain can quickly process so much data and information by just looking at a picture, while it can take minutes to understand the same ideas when conveyed by text. We learn to draw before we can speak as a way of expressing ourselves. But somewhere along the way most of us lose that ability. I help people rediscover that by getting them to translate their verbal language into a visual one. It can be difficult to describe what we are thinking and feeling with words, but we can do this with pictures. It means teams can take a pen and create and co-create things. Someone can add their picture to your picture and you are suddenly in a flow of communication. I have been given the chance to explore my passion. Since my first presentation for SGP participants, I have been running training sessions and they get booked up really quickly. It’s a low-tech way of learning — you only need paper and a pen — and Siemens has been really kind to give me the space to organize these workshops. I don’t talk a lot in them and I don’t go into lots of theory. I set up the environment, and provide the space for us all to explore ways to draw business processes and products. It’s about rediscovering your visual side. Today, we talk about very abstract things like the cloud and virtual reality. It’s really helpful if you can give these things context and convey them clearly to the customer. My sketching workshops give people a chance to rediscover their interest in drawing while discovering how pictures can be used as a powerful presentation tool. There is no right or wrong answer. I set a few tasks and we start drawing. I know how I want to express my ideas and the participants have their ideas. They are all valid. Creativity can save people time. People spend a lot of their time in the office. And so much of that time is spent in endless meetings. Drawing helps people get straight to the point. A single image contains much more information than a single sentence. You know that old saying: ‘a picture is worth more than a thousand words’? Well, that’s exactly what I think. 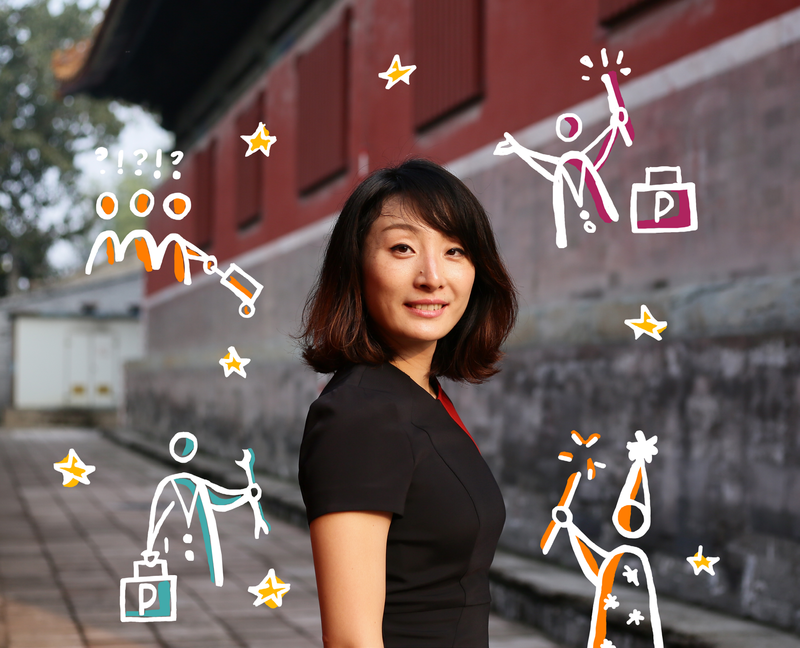 Ting Wu is a Sustainability Manager in Siemens Germany. Find out more about working at Siemens. 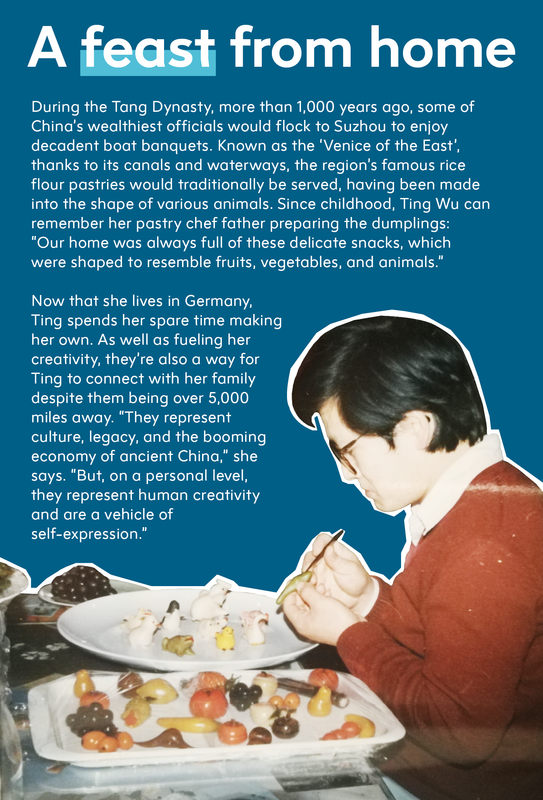 Ting is a Future Maker — one of the 379,000 talented people working with us to shape the future.